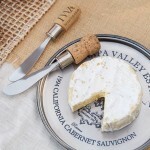 Cork Cheese Knives - Set of 2 (P/N KNFS018). Add your own special cork onto the end of the plated brass spiral to create a custom wine and cheese party experience. 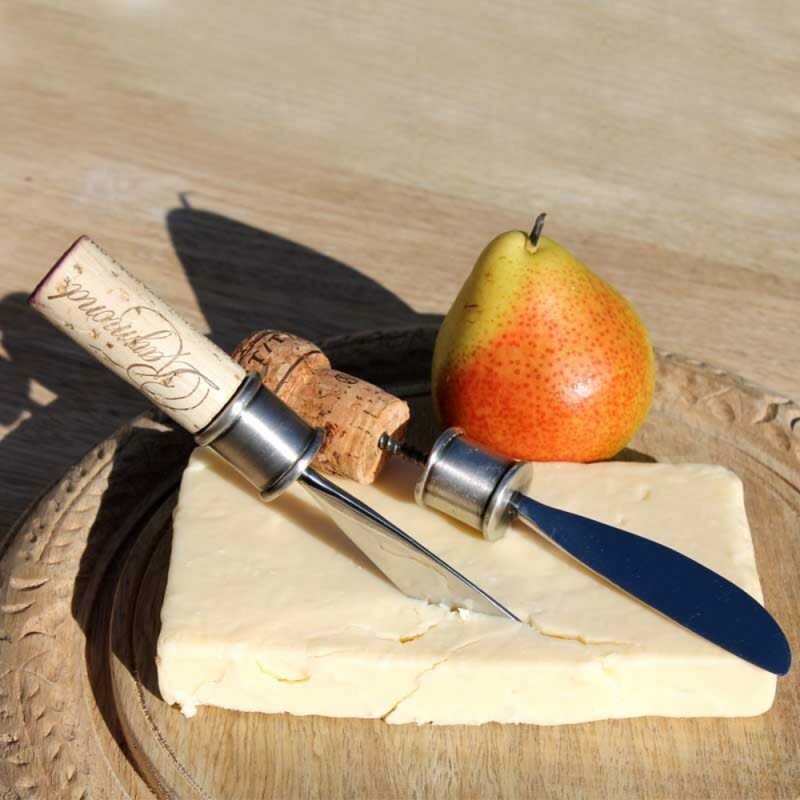 With stainless steel blades that are easy to clean, these knives make thoughtful, unique gifts or wedding favors for all wine lovers. Set of 2 knives. Corks not included. Unique display for corks while spreading your love of wine and cheese.